Kyusho Club!... Understanding Neurological Pressure Point Knockouts ...... Do Not miss this One! "Reserve Your Seat Now, for this webinar training that will change the way you think Kyusho Jitsu Knockouts..."
Read below what others have to say about Kyusho Clun Live Webinars! I enjoyed the questions and the format. Yes, the information was very helpful and was useful in me deciding which course to take next. EXCELLENT I TRULY ENJOYED IT. SOME TECHNICAL HICCUPS AT THE BEGINNING BUT SCOTT DID AN EXCELLENT JOB AT KEEPING US INFORMED OF THE SITUATION AND RESOLUTION. YES, IN A WAY. FOR ME, I TRULY BELIEVE IN PRESSURE POINTS, SO I DON'T NEED CONVINCING AND DON'T BOTHER MUCH WITH THE KYUSHO NAYSAYERS. THE INFO ABOUT THE ENERGY FLOWING AND MICROCOSMIC ORBIT WAS GREAT. MAYBE A SUGGESTION FOR FUTURE WEBINARS. 10-15 MINS BEGINNERS TIPS 10-15 MINS ADVANCE TIPS 30 MINS Q & A THIS WAY YOU COVER THE NEWBIES AND THE ADVANCE USERS SO THERE IS BENEFIT FOR EVERYONE. SOMETHING TO CONSIDER. This was my first experience with a live Kyusho Club Webinar. The interaction was good, questions were answered, the audio and video were both good. We could even easily hear Scott reading the questions. In all aspects it was positive. Yes. I appreciated the answering of questions, and there was sharing of good information -- both for the beginner, and the advanced practitioner of Kyusho Jitsu. Thank you! Absolutely! And, I will invite others to the next public one. I enjoy learning new information and reviewing information that I have already learned. Very good. I have some problems getting access to my courses?, apart from this the courses are well structed and interesting. Yes. I think the webinars would be better if a quick diagram of the points in question was shown during the discussion. 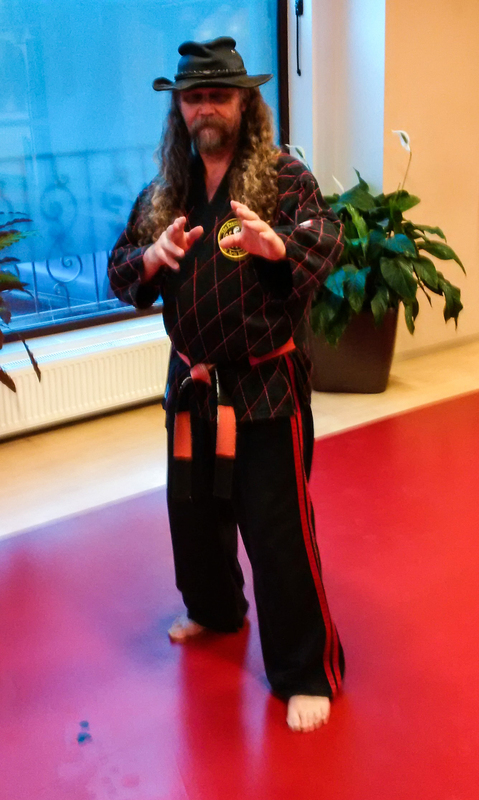 I would like to see the kyusho incorporated into a self defence scenario and some examples from your Hapkido training. It was informative and entertaining. And yes I would recommend it to others! Hello Sir! This webinar was a fun experience! I was able to watch it on replay and it is good that the link stays live for reference. Yes! There is always something new to learn even within a topic that has been covered extensively. I liked the point you made about 361 points on the body to the person who was a pressure point skeptic. Yes, I will attend more seminars and/or watch them in replay. I think the time of the webinars will be cutting close to the end of our Kyusho class time. Thank you, Sir! Information was helpful. Particularly liked hearing other student questions that i had not concidered. Hi Grand Master Art; I really enjoyed interacting with you during the Webinar. We had an hour of your teaching from Romania, without any traveling time or expenses. Thank you for your insight, and answered questions. The information you provided was very helpful. I also like your manner, honest opinion, and the fact that you are open to other styles and teachings. Yes, I look forward to your Webinars. Extremely informative. Especially the section on sounds and colors! The only one that I was not impressed with was the one on rhythm or “tempo”... I’m a musician and instructor, so I’m a bit of a stickler for this subject. I got where you were going with it. It’s a similar concept that I have learned in White Crane, and Wing Chun. Love it! It’s simple and direct. I was able to review things and take notes. You are such a laid back guy, and very friendly. So that’s all very endearing and therefore important when teaching such a complex subject. I believe that this art has a while before it’s full blown mainstream, and people are going to have to get over all the trolling of Dillman. Maaannn... it blew me away when you reveal the reason Dillman started his reasearch on the topic of pressure points. Anyway... thanks for your generosity. I’ll be sticking around. CHEERS! Totally Great!!! Over the moon fantastic!!! Just name the time and place and I'll be there or I'll be square !! Discover how presure points can cause a knockout! Step-by-step information to understand how this all works!!! Plus, free bonus: register today and to a FREE Lesson in HPPT!.